General Payment Claims are one-off claims that are used for projects or works that have definite charges. 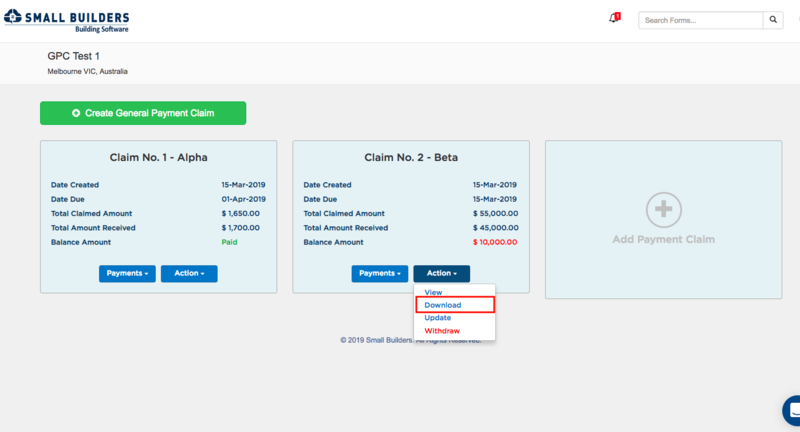 You can download your General Payment Claims from 2 locations on your portal. 1. From the dashboard click on the Download row under the Action button. 2. You can also Download your submissions from the preview. 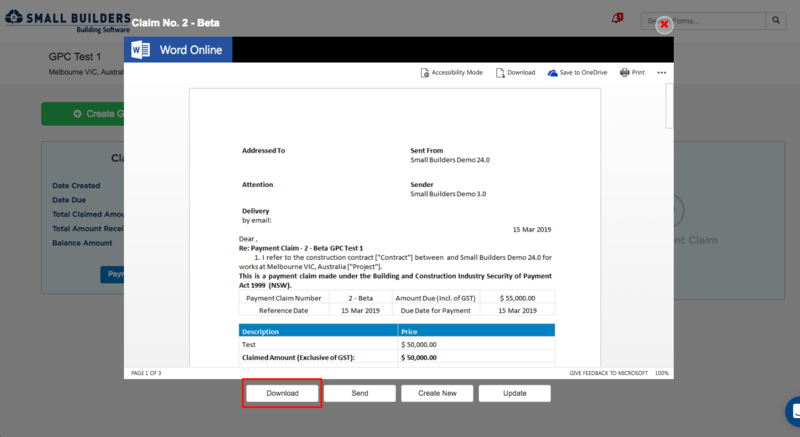 Downloading General Payment Claims from the General Payment Claim - History table. 3. 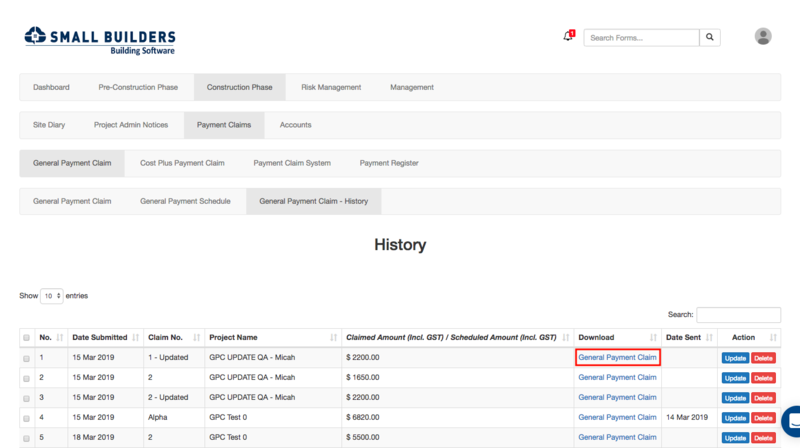 From your navigation bar, go to Construction Phase > Payment Claims > General Payment Claim > General Payment Claim History or type in 'General Payment Claim History' on the search bar located at the upper right corner of your portal. 4. On the History table, find the claim that you would like to download then click its General Payment Claim link. 5. Your General Payment Claim will then download automatically to your PC/Device.